Watch the city come to life as you make your way across Adelaide Oval’s iconic roofline after dark, all the while listening to your favourite party tunes! Once you’re back on ground you can toast to your climb with a celebratory beverage in the RoofClimb Centre. Whether it’s for a special occasion or just because, RoofClimb Night is the perfect way to kick off your celebrations! 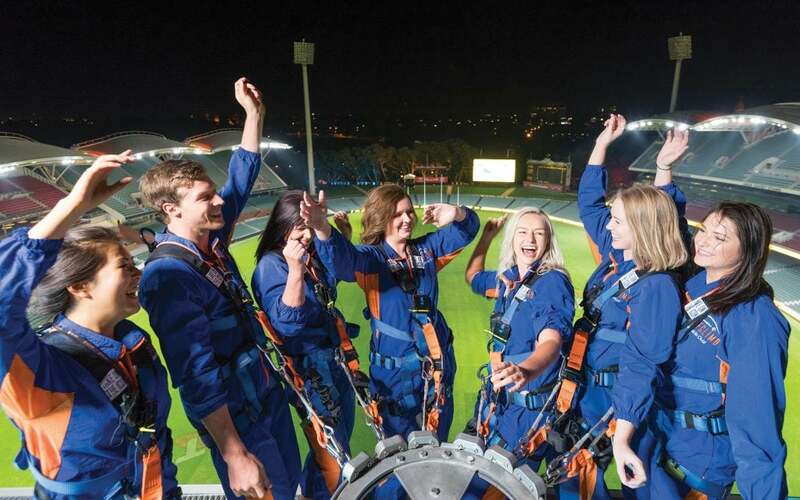 RoofClimb Night operates on Friday and Saturday nights (outside of Game Day and certain major events at Adelaide Oval).